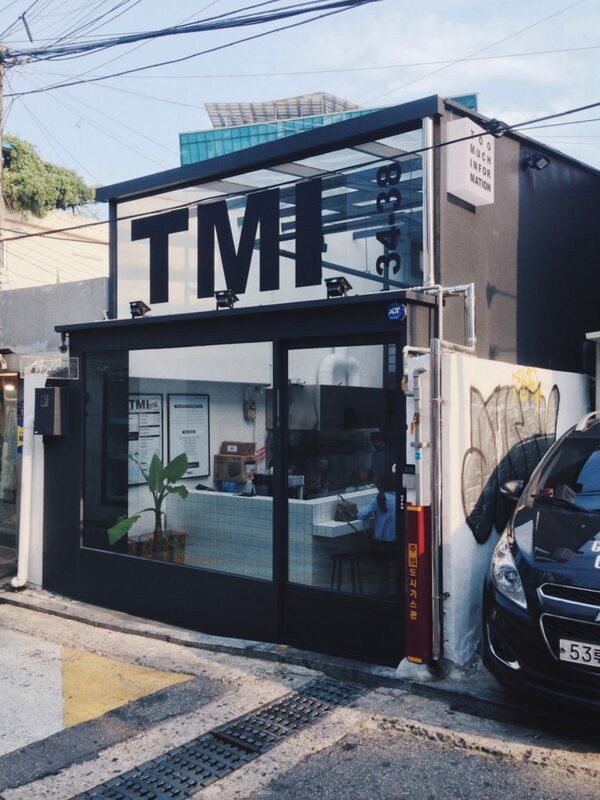 Too Much Information(TMI) is a restaurant in itaewon. Especially the black and white color speace desin and package design make the restaurant looks really stylish. Here sells special healthy mushroom hamburger, fries and coffee beverage during day time,and becomes bar during night time. Here only have two kind burger,left is “red mushroom”,taste like use some spicy sauces and the right is “Green mushroom”taste like use pesto flavor. If you next time go to itaewon,must come to here! Really good to have the healthy food and taking styling photos here! This entry was posted in FOOD and tagged beer, burger, day, Food, good, healthy, Itaewon, mushroom, pretty, stylelish. Coming Soon! Korea Grand Sale! !